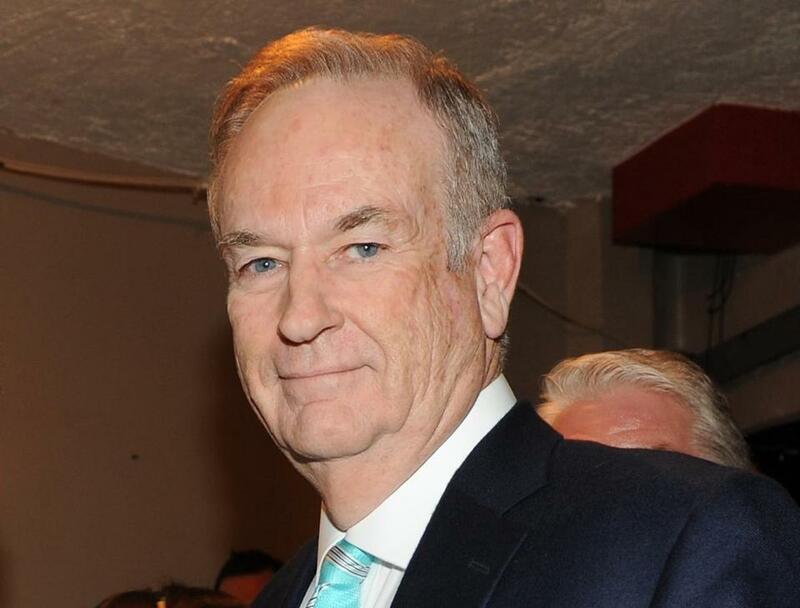 Bill O&apos;Reilly is a popular, and partisan, host on television and radio. Nor, it often seems, is there an issue that the dueling cable channels won’t hype for their own partisan purposes. Not long ago, some scholars of public discourse dreamed that an era of rapidly proliferating channels and platforms — enabling almost anyone to get airtime for their viewpoint — might soften some of democracy’s rough edges by making it harder for partisans with the loudest voices and biggest signal to hijack the debate. Instead, what was once billed as the greatest democratization of information in the world’s history has helped land us where we are now. The growing personalization of media sources has yielded a world of competing commentators who, with few exceptions, stake out the rigid edge of their piece of the political spectrum. The profit is in extremity. Any remark can catch fire, and each channel or site can have outsized impact. 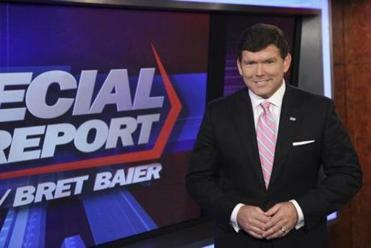 “When we are talking on the news side of the house we really are striving to be balanced,’’ said Bret Baier, seeking to draw a distinction between his show and the popular opinion shows on Fox News Channel. The result: an explosion in the availability of information has coincided with historic levels of political polarization — the starkest divide since the early 1900s, according to a Duke University study released this year. While many factors have fed this trend, analysts believe that ideological media outlets have contributed significantly and hardened the battle lines. For some time, the hosts of some of the most popular partisan shows, such as Bill O’Reilly and Sean Hannity on Fox, Rachel Maddow on MSNBC, and Rush Limbaugh on the radio, have regularly driven the day’s discussion — or at least define its extremes to left and right. They provide a forum that can gain a far larger audience than a member of Congress can get delivering a floor speech shown live on C-Span and perhaps covered by conventional news media. Some hosts, meanwhile, have created media empires that include paid speeches and lucrative book contracts, all of which benefit from high-octane partisanship to keep the customers coming; moderation and compromise are death on ratings. Glenn Beck, the former Fox News host who once said that President Obama had a “a deep-seated hatred for white people,” now runs an online show and has reached a distribution deal with the Dish Network. He oversees an empire with estimated revenues of $75 million last year. In an era of shout-fests, Twitter-flames, and comment wars, the danger, in other words, is that the measured voice that leads to compromise has been all but drowned out. Senator Ted Cruz, the Texas Republican and Tea Party firebrand, isn’t shy about saying so: He sees a boon for his cause in a media universe gerrymandered along partisan lines. Cruz went on the Rush Limbaugh show one day in late August and told the nation’s top-rated talk show host about his strategy to “de-fund” President Obama’s health care law. As Cruz explained to Limbaugh and millions of listeners, the strategy relied on using carefully selected, conservative-oriented segments of the media. “Two nights ago I was on Hannity’s TV show,” Cruz said, referring to a Fox News program. Within two hours of that appearance, 100,000 people had logged on to a Cruz-backed website and signed a petition calling for the end of “Obamacare.” With Limbaugh’s help, the online signatures passed the 1-million mark. It was the broadcast prelude to the current GOP-propelled shutdown. Limbaugh and Cruz spent part of their conversation attacking Republican leaders who dared distance themselves from Tea Party supporters. “I think they are respected less than they have been in my lifetime,” Limbaugh said of the Republican leadership. Not long ago, a US senator like Cruz, who declined to be interviewed, would have made his case largely on the chamber floor and in nonideological, or “mainstream,” media outlets. Now, just as presidents have gone over the heads of the national media, so, too, have some of the lowest-ranking members of Congress such as Cruz. 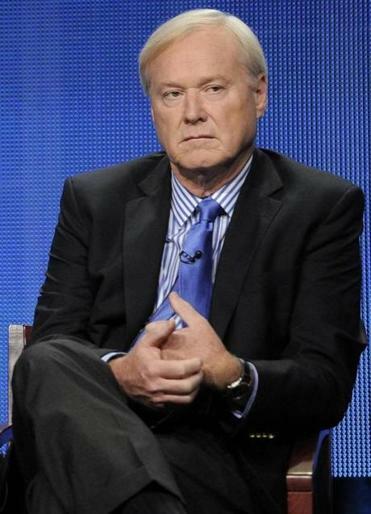 Chris Matthews uses his show on MSNBC to skewer the GOP but recently took aim at President Obama. Cruz took the Senate floor after his string of talk show appearances, clearly emboldened by them. He urged his colleagues on Sept. 25 to join him and “change the broken ways of Washington.” The Republican-controlled House had already passed a measure defunding Obama’s health care, and now Cruz wanted the Senate to do the same. But it proved to be an exercise in fury and failure. What had sounded good in a conservative media echo chamber had no support even among most of Cruz’s fellow Senate Republicans, who largely refused to stand with him. Senator John McCain, the Arizona Republican who previously had called Cruz a “wacko bird,” disputed Cruz’s assertion that Republicans weren’t willing to fight to kill the health care program. McCain reminded Cruz that he had campaigned for president in 2008 against the plan and lost. Mitt Romney had campaigned for repeal and lost. And now Cruz had waged his effort and lost. Shortly after delivering his floor speech, McCain, who holds the record for the most appearances on NBC’s “Meet the Press” — the very definition of a mainstream media outlet — stood in a Senate hallway and said in an interview that the rise of ideological shows is playing an outsized role in the current stalemate. The voices are further amplified, McCain said, because there is “a real debate going on in the party,” between isolationists and internationalists, and between the Tea Party and more traditional leaders. Ground zero of that fight has often been on the cable and radio talk shows, where McCain continues to appear regularly. All of this raises the question: Why has the historic growth of media, which some believed would ratchet down discord, instead resulted in increased polarization? In a way, it is a return to the nation’s founding days. Early newspapers were openly partisan, designed to attract the most rabid followers and influence policy. But the introduction of radio in the 1920s and broadcast television in the 1950s significantly decreased polarization, according a study co-authored by Filipe Campante, an associate professor at Harvard University’s Kennedy School of Government. A major reason, Campante said in an interview, is that radio and broadcast television relied not on paid subscribers but on advertisers who wanted to appeal to the widest possible audience. Thus, a handful of companies that controlled major media relied on a more mainstream sensibility in their coverage. The regulations, even though sporadically enforced, for years modulated the tone on the airwaves as broadcasters sought to avoid being hauled before the Federal Communications Commission. But the rules began to seem moot as cable television emerged. Cable channels would provide much more access to information and, because they didn’t rely on public airways, weren’t subject to the same regulation as broadcast venues. The Fairness Doctrine and the “personal attack rule” were killed by the administration of Ronald Reagan, which deemed them unnecessary and a violation of the First Amendment. The result was dramatic. There were 100 talk radio stations in 1980, compared with 1,700 in 2007, according to a study by the liberal Center for American Progress that complained about a conservative-dominated “structural imbalance” on the radio airwaves. The most successful talk shows were hard-driving partisan affairs in which the host pushed his or her viewpoint and belittled talk of compromise. Limbaugh, the conservative king, has the top radio show with 14 million listeners over the course of a recent week. Hannity, a conservative who also hosts a Fox prime-time program, is the second-highest rated talk show with 13.25 million listeners per week, according to Talkers.com, which tracks the ratings. Alan Colmes, who hosts a liberal show on Fox’s network, has 2.75 million listeners. Meanwhile, broadcast network news viewership declined as cable installation began to bring more entertainment programs into homes, according to a study released this year by Markus Prior, an associate professor of politics at Princeton University. Millions of Americans who had only been lightly interested in politics, and had been getting “incidental” exposure to the evening news on the three broadcast networks, switched to newly available entertainment channels. The numbers are startling. In 1980, about 52 million Americans watched the three evening network news broadcasts, compared to only 22 million people today, according to the Pew Research Center’s Project for Excellence in Journalism. Cable news doesn’t come close to filling the gap. For example, on Oct. 1 at the 6 p.m. hour, 2.3 million watched Fox’s “Special Report,” 702,000 watched CNN’s “Situation Room,” and 811,000 watched MSNBC’s “Politics Nation,” according to ratings services. PBS said about 1 million watch its NewsHour program, and a scattering of other news programs attract viewers. The bottom line: some 25 million fewer people are watching evening news programs than in 1980, even as the nation’s population has grown from 227 million to 309 million and the number of media outlets has expanded. Many of these “lost” viewers tended to be politically moderate, and as they tuned out network news, they were less likely to track public issues and vote, according to Prior. “The culprit turns out to be not Fox News, but ESPN, HBO, and other early cable channels that lured moderates away from the news – and the polls,” Prior wrote in his study, “Media and Political Polarization.” Similarly, online sites have drawn away viewers. At the same time, many of those drawn to the most partisan shows have an outsized impact on politics, talking to their friends and neighbors about public affairs and signing up for campaign work. The genius of Fox News, according to Syracuse University’s Thompson, was that its founders realized it could thrive without a 1980s-sized audience or centrist programming. Instead, Fox figured it could be at the top of cable news with shows watched by a couple of million viewers or less, keeping them hooked emphasizing conservative outrage. MSNBC followed suit on the liberal side, as have websites of all ideologies. No one was more successful at profiting from this new world than Roger Ailes, a television producer and former aide to three Republican presidents, Richard Nixon, Ronald Reagan and George H. W. Bush. Ailes was working at the cable business news outlet CNBC in 1994 when it launched an independent-minded network called “America’s Talking.” But when that was transformed into MSNBC, Rupert Murdoch lured away Ailes to create Fox News Channel in 1996. It was a tipping point in the world of Washington media and politics. Cable news needed passionate subscribers. Ailes provided an outlet for conservatives who were stewing in the midst of two terms of the Bill Clinton presidency. The channel’s popularity soared as Republicans took back the White House in the 2000 election, helping boost the fortunes of George W. Bush. By the time the 2008 campaign got underway, the hosts of Fox’s opinion shows had become some of the chief antagonists of Obama, then a first-term senator from Illinois who had benefitted from a glowing precandidacy buildup in much of the media. After Psaki’s e-mail about Baier became public in 2011, the White House recalibrated its media strategy and ended its harshest rejoinders to Fox. Psaki and Baier agreed to have lunch at The Oval, an upscale restaurant near the White House. Psaki apologized to the Fox anchor about that whole “dead fish” in the cubbyhole thing. “There can be a tendency to jump to conclusions about motivation when you do have a partisan environment, which you do have in Washington,” Psaki said in an interview. The interview helped Fox underscore that its news programs are separate from its opinion shows – a distinction that seemed to have been lost on the Romney campaign. “Well, you should be,” Bill O’Reilly responded. Liberals have also tried their hand at partisan shows, but the megaphone has proven smaller. The failures include Air America, a liberal talk-show radio network, and Current TV, which was sold to Al Jazeera America, which began broadcasting on Aug. 20, promoting itself as filling the need for straight-ahead news programming. Reasons for the difficulty of sustaining a liberal network include struggles in retaining younger people who get their news online or profess to get their information from sources such as The Daily Show, a comedy show that often mocks Fox (and sometimes Obama). The most prominent cable purveyor of liberalism is MSNBC. It did well amid the heightened interest of the 2012 campaign but has seen its ratings fluctuate since. MSNBC officials declined to comment but clearly they have bet on commentary to attract a regular audience of liberal viewers. The network has branded itself as “the place for politics,” and its president, Phil Griffin, told The New York Times that “we’re not the place” for breaking news. It may be a coincidence, but in the following months, some in Congress increasingly took on Obama, complaining he was abandoning his commitment to liberal principles. Indeed, in a short period, some programs have gone from boosting their party’s standard bearer to becoming a forum for intra-party warfare, fueling more factionalism. That has led some Republicans to worry that the influence of Fox News could backfire. Kevin Madden, a former media adviser to Romney, said there has been much internal discussion in the Republican Party about the reliance on Fox News. Madden, who is a paid commentator on CNN, said that while it is important to “fire up the base” by appearing on venues such as Fox, “we can’t just preach to the converted … we have to spend as much time persuading the big middle of the electorate. “Politics is about adding people,” he said. At CNN, meanwhile, the mantra is that the network can prosper by catering to a large slice of viewers who want independent-minded news, not opinion. Feist charged that the partisan nature of his rivals is partly responsible for gridlock. “The partisan cable news channels certainly put pressure on politicians to play to their base and put pressure on people who might otherwise be moderates or might otherwise be considered moderates to take public positions that appeal to the most conservative or most liberal in their party,” he said. Nonetheless, CNN, too, is providing more opinion, but in its own fashion. It recently revived one of its most famous programs: “Crossfire.” The original incarnation, which features a host and a guest from each major party, was criticized for its tendency toward argument and interruption. So why has CNN gone back to the future with “Crossfire?’’ Once criticized for promoting shout-fests, the show is now seen by some, ironically, as a beacon of balance in comparison to opinion shows on other channels. Feist said one of the goals of the new “Crossfire” will be to find out where conservatives and liberals agree. So, at the end of each show, “Crossfire” transforms into a segment with a striking name: “Ceasefire.” But the disagreements typically remain large. White House communications director Dan Pfeiffer often finds himself on the receiving end of this multifront media border war, trying to figure out how to respond to countless tweets, blogs, and breaking stories, many of which are potentially harmful to Obama. Every day is an exercise is combatting and controlling the message. Earlier this year, Pfeiffer had come under implicit criticism from one of Washington’s oldest and most respected media hands, CBS’s “Face the Nation” host Bob Schieffer. The Texas-bred, 76-year-old host had set up an interview with Pfeiffer and intended to grill him about the White House failure to provide clear answers about a number of issues. In Schieffer’s view, he is one antidote to the problem of too many Americans who are either uninformed or misinformed by watching partisan shows. So, in his role as an independent-minded inquisitor, Schieffer grew irritated as Pfeiffer appeared evasive during the May 19 show. When Schieffer asked about the White House view of allegations that the IRS targeted conservatives, Pfeiffer responded that the administration respects the “historical independence of the agency.” Schieffer believed the response typified the inability to get a direct answer from the administration. It was a question steeped in the old notions of media power in town, the old pecking order. Pfeiffer’s main concern is with the new. The Obama administration has had to change the way it tries to reach potential allies. Gone, for example, is the emphasis on nighttime press conferences, a staple of the Reagan era. Obama, who has relied heavily on younger voters, emphasizes a strategy that any major American company would recognize: the White House counts Web page clicks, woos Facebook users, tends an e-mail list of 4 million people, tracks what is trending on Twitter, and provides interviews to selected media outlets, such as those with the best demographics. Pfeiffer said one of his biggest concerns is how to reach millions of Americans, especially those under 30 years old, who pay far less attention to the major media than their elders. “Reagan did an Oval Office address — he had 65–80 million people,” Pfeiffer said. “Now . . . other than something major, other than a once-in-a-decade news event — if we were to do an Oval Office address we would get maybe 20 million. “It is totally fine to do a Sunday show that gets 2 million viewers, or the Situation Room [on CNN] that gets 600,000 or so. But to do “The View” [on ABC] . . . gets 6 million people, many of whom are not partisan,” Pfeiffer said. Perhaps the most striking example of Obama’s media strategy came last year, when Obama decided to launch an effort to pressure Congress to stop the rates on some federal student loans from doubling. It was an issue that most affected the very audience of younger Americans that the White House often had trouble reaching. Obama launched a Twitter campaign and appeared on a late-night comedy show hosted by Jimmy Fallon, participating in a skit in which he “slow-jammed” the news. The president spoke the same talking points as usual but he did so in the soulful setting of the genre, as Fallon’s band jammed in the background. Fallon held his microphone close and said in a deep voice that pleased White House aides: “Oh, yeah, you should listen to the president.” Aside from the initial airing on television, a video version on YouTube garnered an additional 7 million views.